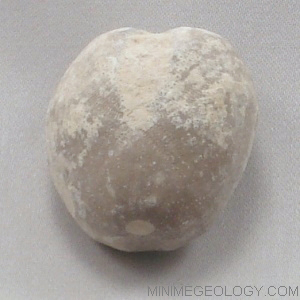 Heteraster Texanus Echinoids are sea urchin fossils made of small, limy plates. The skeleton of echinoids is made of these interlocking plates that form in a globular shape in the case of Heteraster texanus. These fossil animals are actually related to sand dollars and exhibit the same five-fold radial symmetry. This Cretaceous age (approximately 65 to 146 million years old) echinoid fossil is from Tarrant County in Texas. You will enjoy adding this sea urchin fossil to your collection.